Who says learning a language has to disturb your busy schedule? While there are a lot of resources out there to learn languages online, it’s critical to choose the right solution. Otherwise, you’re wasting hundreds of dollars, and more importantly, your precious time. To help you out, we’ve narrowed down the best solutions to learn languages online to help you make the right choice and make life easier for you. Personalization — every person learns differently. This is why having a customized solution or personal attention to meet your personal needs is crucial to effective learning. Think about the difference between having a personal teacher versus being stuck in a 300-seat lecture hall. Time flexibility — let’s face it. Most of us are busy individuals. In fact, lack of time is one of the biggest reasons why many people never get to learn a language. Having a solution that allows you to learn on your own schedule is a must. Real-life immerison/Human interaction — have you ever met someone who picked up a language, while living abroad for only a few months? This is the power of real-life immersion. A study by NTL Institute shows that humans remember 18X more from immediate immersion versus listening to a lecture. Accountability — no matter what goal we’re trying to achieve, having someone there to keep us accountable can be the difference between persisting and quitting too early. *We will rate each solution using this criteria from 1 to 5. Duolingo is a great resource for people who are just looking to dip their feet into the language pool. It’s fun, gamified, and free for anyone to start learning. However, you do get what you pay for. From personal experience, there’s a glass ceiling with using a tool like Duolingo, because you don’t get the real-life immersion required to become conversation fluent. If you’re serious about learning a language, don’t expect to stay motivated or accountable after a few weeks using Duolingo. Nevertheless, it’s a great tool that’s free for you to use, and it allows you to learn on-the-go. Memrise is powerful for not just learning languages online, but for anything you want to memorize. 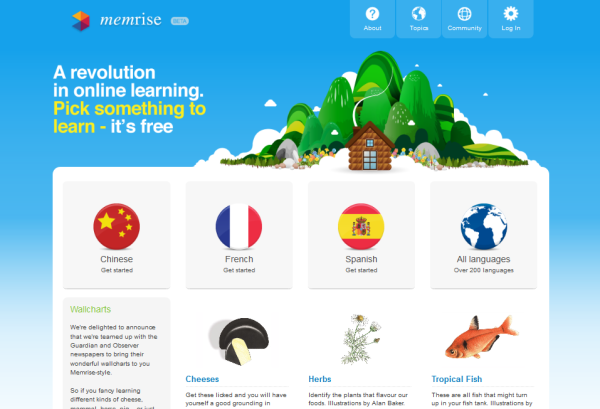 Like Duolingo, Memrise has a gamified approach to helping you memorize words, grammar, and facts in small chunks. It also allows you to learn anytime online, but like Duolingo, it doesn’t keep you accountable to continue learning. BBC has introduced a library content of useful tutorial videos, games, and exercises to help anyone learn languages online. The content is tailored for languages like Spanish, French, Italian, German, and many more that are available for you to watch when you want. The Polyglot Club is Meetup for languages. There are over 500,000+ members around the world that can organize, meet, and practice their target languages in-person. While this is not focused on learning languages online, it’s a great destination that allows you to find in-person language exchanges at your local city or wherever you’re traveling to. There are several conversation exchange communities online, where you can connect with fellow language lovers online. It’s basically the Polyglot Club, but done at the comforts of your home. You can narrow down your search filter by languages, country, age, and more. With over 100+ languages and 1M+ members around the world using conversation exchanges, you’re bound to find a language partner that can learn a language with you. Keep in mind that there are several downsides to conversation exchange that you should be aware of. Finding the right partner takes a long time, and being able to schedule your busy times to meet up and practice your target language is harder than most people think, especially when 50% of your time is going to helping the other person. It’s a great solution for people who have the time and don’t have the funds to invest in a more professional solution right now. 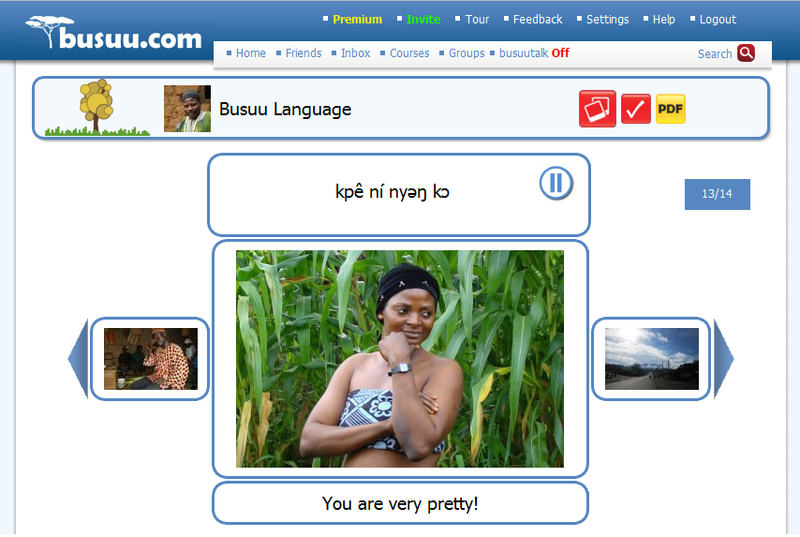 Busuu is similar to Duolingo, in that it’s a free language learning solution that makes it simple for you to learn the basics of a language online. It focuses on helping you learn vocabulary, sentence structures, and some grammar, but it’s not as helpful in improving your speaking skills. A great feature that Busuu has is that they give you the individual word you need to learn, followed by an example in context (with audio for your first week). They also have a great interface for typing, and allows you to tap into native speakers for help. Of course, we can’t have a review of websites to learn languages online, without mentioning our very own. For the new visitors to our blog, Rype offers unlimited private Spanish lessons online. Think Netflix for private language lessons. With teachers from 5 different continents around the world, we empower language learners to experience their lessons on-the-go, anytime, anywhere. Best part is, they’re fully customized to meet your needs and you get to work with a dedicated, professional teacher that is there to keep you accountable. You can try it out for free, where you can get 3 free lessons with 3 different coaches!